ManageEngine Free EC2 Manager helps system administrators and developers monitor resource utilization of EC2 instances. 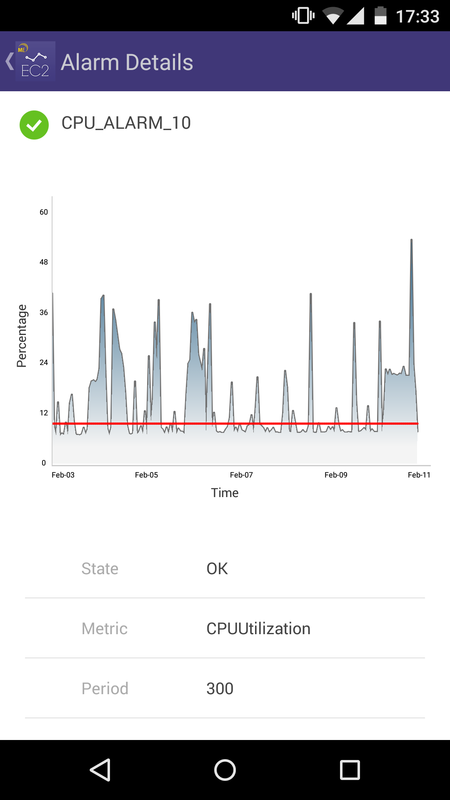 This app connects to Amazon EC2 instances, monitors live feed data, historical data, configured alarms, EBS volumes. The admins can also start and stop the EC2 instances. 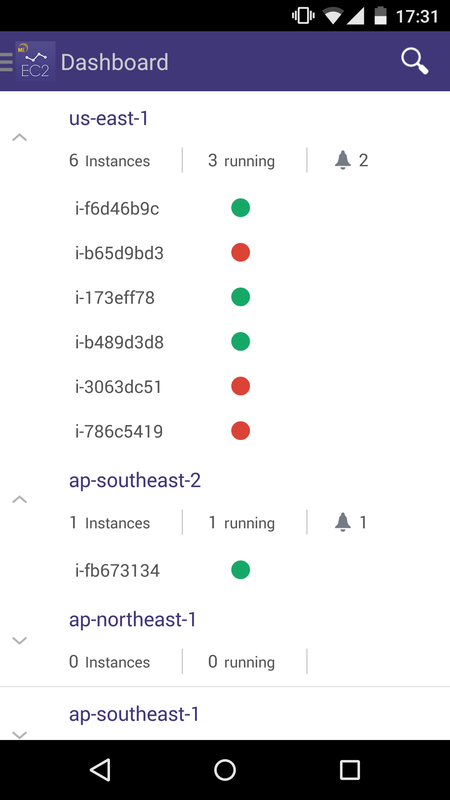 Monitor your EC2 instances region wise. Drill down to the list of instances in every region which are colour coded intimating the state of the instances: running (green) and stopped (red). Has one of your instances been idle for a while? 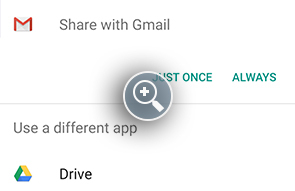 Or do you want to run an application on one of the idle instances? 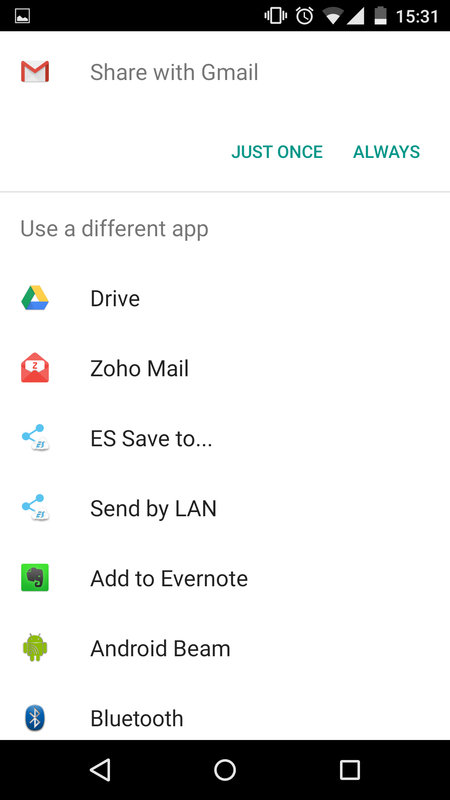 Start and stop any of your deployed EC2 instances right from your android device. 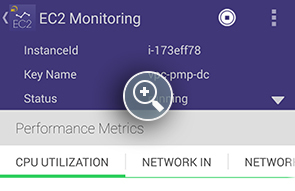 Monitor the critical performance metrics of your EC2 instances graphically using ManageEngine EC2 Manager. 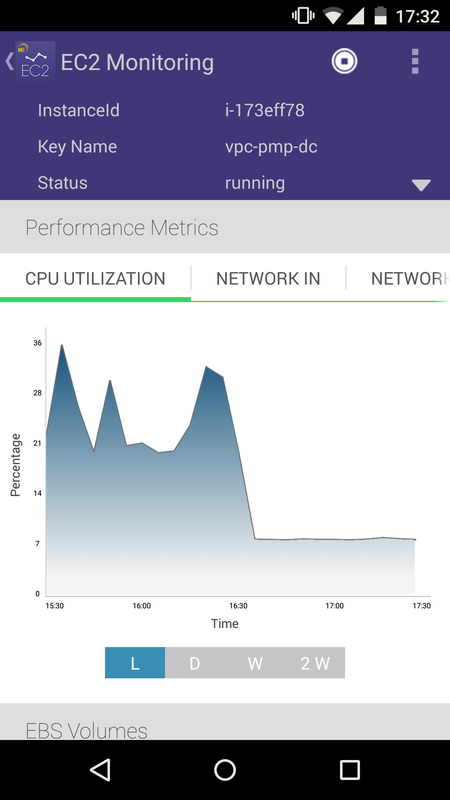 Select the instance to be monitored and view the performance of the following metrics. The graph can be set to show live feed data, day old data, week old data and two weeks data. Monitor the percentage of allocated EC2 compute units that are currently in use on the instance. This metric identifies the processing power required to run an application upon a selected instance. View the number of bytes received on all network interfaces by the instance. This metric identifies the volume of incoming network traffic to an application on a single instance. Keep a tab on the number of bytes sent out on all network interfaces by the instance. This metric identifies the volume of outgoing network traffic to an application on a single instance. Monitor the bytes read from all disks available to the instance. This metric is used to determine the volume of the data the application reads from the hard disk of the instance. This can be used to determine the speed of the application. Keep track of the bytes written to all disks available to the instance. This metric is used to determine the volume of the data the application writes onto the hard disk of the instance. This can be used to determine the speed of the application. 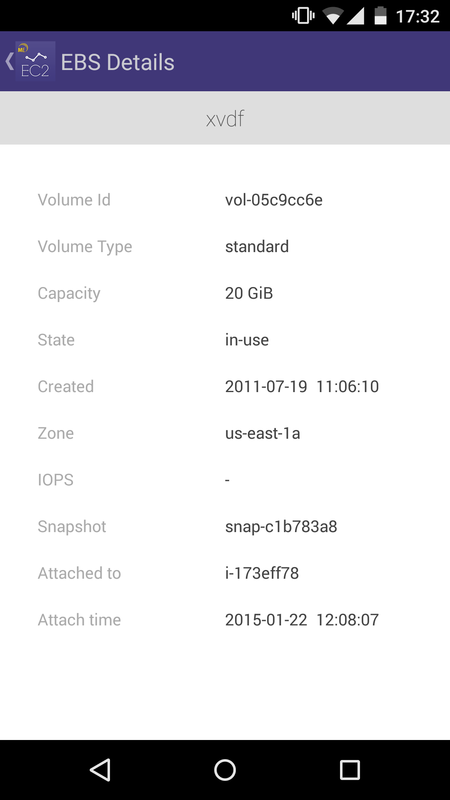 Get the essential details of your instances in one quick view. EC2 Manager displays the details given below for every instance. 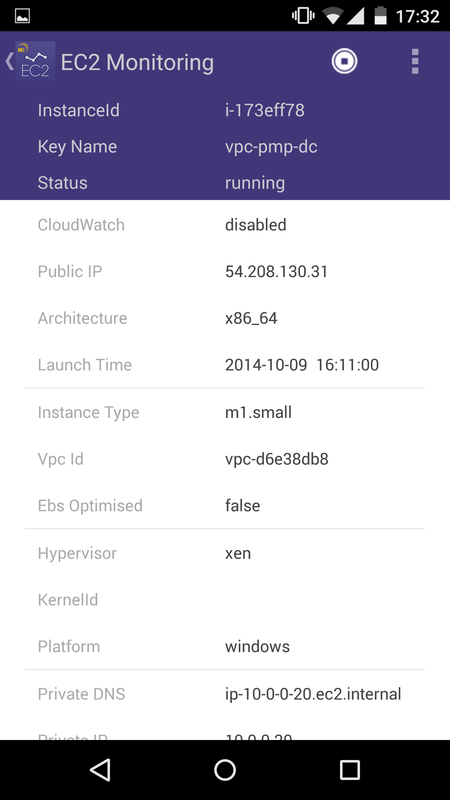 Displays whether CloudWatch is enabled or disabled. Displays the launch time of the instance. Displays the type of virtualization of the server. 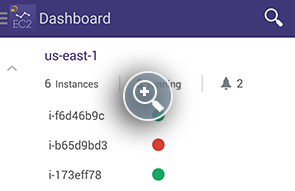 Favorite the critical instances across the regions to isolate and collect them in a separate tab for quick monitoring. State : The state of the alarm depends on the threshold level set by the use. Metric : The performance metric for which the alarm has been set up. Period : The time period set by the user during alarm configuration. Statistic : The attribute of the value of the performance metric being monitored. It could be either maximum, minimum or average. 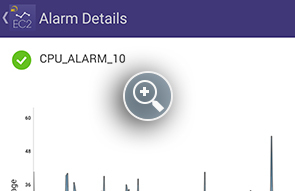 When the statistic is minimum, the alarm goes off when the minimum value of the metric being monitored goes above or below the specified threshold. Last Update : The time when the state of the alarm changed last. Threshold : The threshold value set while configuring the alarm. Reason : The reason why the alarm was updated last. Last Configured : The time when the alarm was last configured. Monitor the EBS volumes attached to your instances to keep yourself updated about the resources your instances consume. Get the following details of the EBS volumes attached to your instances. Volume Type : The type of the volume attached to the instance. The type can be any of the following three: general purpose, provisioned purpose, magnetic. State : The state of the volume. It will be any one of the states: creating, available, in-use, deleting, deleted, and error. Snapshot : The id of the snapshot from which EBS volume has been created, if not the field is left empty. Attached to : The id of the instance to which the volume is attached. The reports of the details of the instances and the graphs of the performance metrics can be exported in PDF format via e-mail, bluetooth or any application installed on your device. The export option is available only on android versions 4.4 and above.